What comes to mind when you picture skincare market advertising? Likely it’s a seductive promise, a flawless skin visual and a technology ingredient too difficult to pronounce. But things in the skincare market are changing. Because consumers are changing. And it’s driven by our priority of wellness. It’s about simplicity over complexity. Natural and “clean” formulations. Helping consumers to feel good beyond looking “radiant.” Skincare marketing that delivers utility beyond just promises being made. As we have a broader picture of what makes a healthy life, promoting skin care products is evolving into wellness marketing. And we think this is how skincare brands will maintain their relevance into the future. This idea is not only about a state of mind, but a statement about what we want (and don’t) in our skincare products. According to Global Cosmetic Industry’s Special Report, The State of Beauty, 2018: Natural skincare brands brought in 47% of dollar gains, according to NPD data. Meanwhile, Mintel’s surveys have found that 49% of US facial skin care consumers aged 18-34 have purchased products that use natural ingredients. 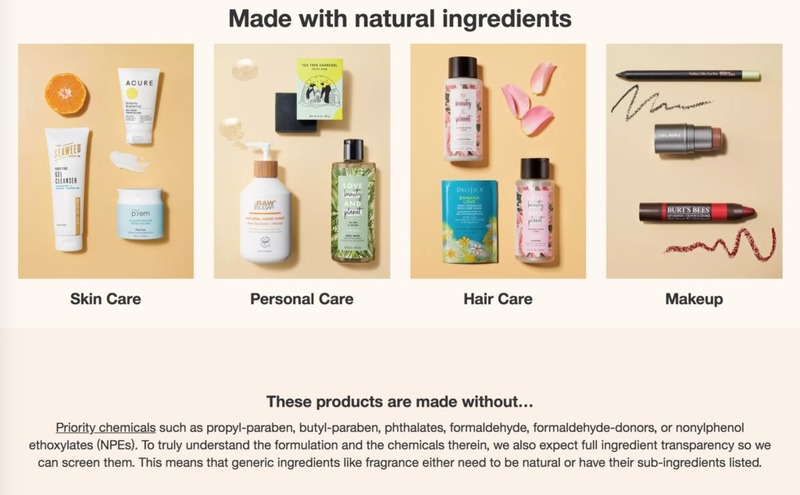 As witness to this trend, is Target’s “Naturals” section in their stores (allocating shelf space and helping consumers to differentiate what is truly natural). Beauty brands are seeking to expand their reach into “inner beauty.” Aligning themselves with the wellness movement and offering products that can impact health alongside appearance. Rationale is that wellness is a $3.7 trillion industry, three times the value of the conventional pharmaceutical industry. The movement is a reaction to lifestyle challenges, including insufficient sleep, bad nutrition, stress, urbanization, digital overload and inadequate exercise. At the same time, wellness is also a movement against “too much,” prizing simplicity above complexity. Direct-sales beauty company Avon is an organization pivoting in this direction. Poised to garner a slice of the health and wellness sector, the company announced the appointment of Anjana Srivastava in 2016 as president of health and wellness, a new role at Avon. Srivastava said that the new health and wellness division will address an increasing number of consumers who are “seeking ways to improve their health and vitality as they are becoming aware of worsening obesity trends and incidence of chronic diseases.” Avon added that health and wellness is the largest sector of the US direct selling market, with a 33.5% share. And it’s growing, rising 16.3% to a value of $12.1 billion in 2015. Speaking of a broader view, Mike George, President and CEO of QVC, talked about changing boundaries in the beauty business, referring to several phenomena: the desire of consumers to have beauty products along with health and wellness products all together in one; creating spa experiences at home; the overlap in categories that used to be discrete. Today, consumers not only want to know what’s in their skin care products, but also where the materials were sourced and how they were produced. For example, Tata Harper, which continues to exhibit strong growth, puts numerical codes on its bottles to track which farm raised the ingredients contained inside. Meanwhile, Apoterra Skincare provides production dates, organic certification and country of origin on its bottles. 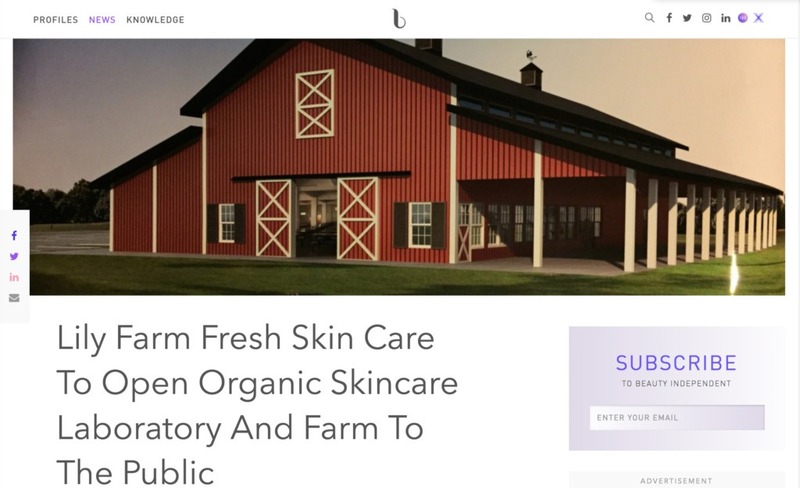 And as an example of beauty brands not only converging with farming and agriculture, but responding to consumer desire for transparency – Lily Farm Fresh Skincare announced that it will make its farm center and USDA-approved skincare laboratory available for public viewing to help consumers understand the beauty production process as well as interact with the farmland where its ingredients are grown. Skincare marketing campaigns can do more than raise awareness. They can actually incite action and effect real change to improve people’s health. Case in point is this sun protection program. In 2016, L’Oréal launched a wearable skin sensor patch under its La Roche-Posay brand. Called My UV Patch, it allows the user to measure and monitor sun exposure. Users wear the patch outside and scan it with a smartphone when they want to check their exposure levels. Another example of actually effecting real change (through a combination of print and mobile) is also in the sun category. 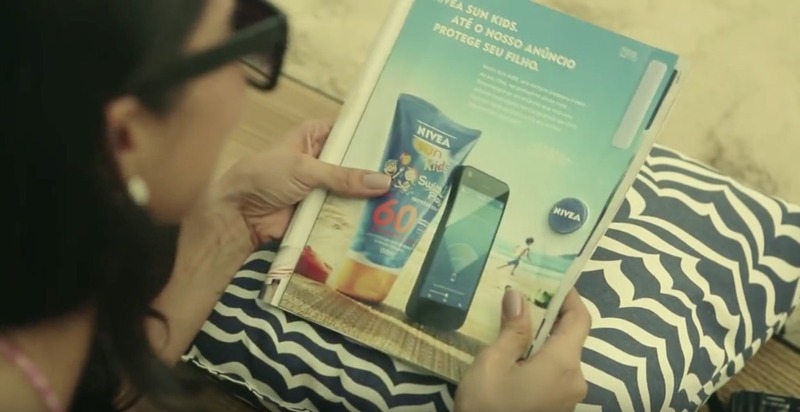 Nivea ran this magazine ad titled “Sun Brand” that included a bracelet with a location tracking technology that can be detached and placed around a child’s arm. Then, parents download the Nivea app and link it to the bracelet code. The app then alerts parents if the child goes beyond the distance they pre-set. Reach out if we can put our skincare marketing experience to work for you. Since 1999, we’ve authored beauty product marketing plans, launched new brands, repositioned and re-energized multiple consumer and professional skincare market brands.